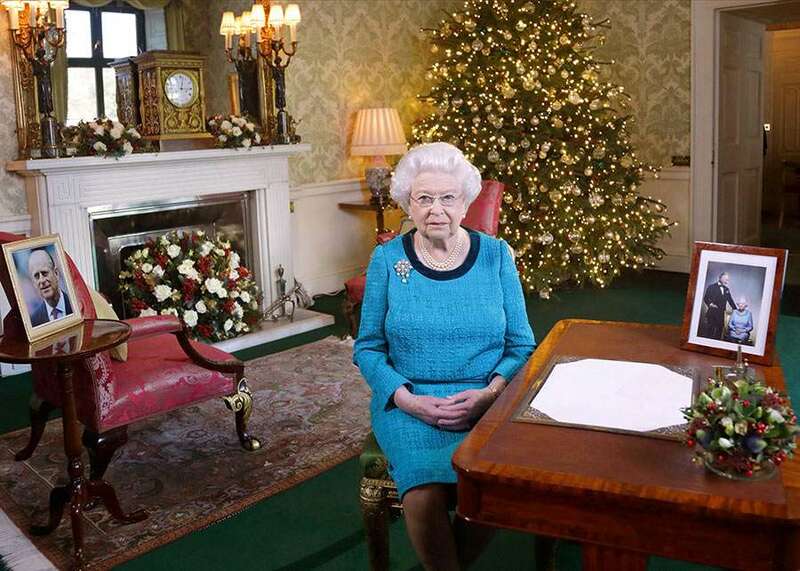 Yearly, the Queen gives members of the public a rare glimpse into her official London residence, Buckingham Palace, when she records her annual Christmas speech. The palace is decked out in style for Christmas, with beautifully decorated trees and seasonal blooms adding a festive touch to every room. Not only does the speech offer us the opportunity to hear the Queen reflect upon the last year, but also to take a peek inside some of the 775 rooms within Buckingham Palace, with Her Majesty typically recording her message in one of the 19 different state rooms.